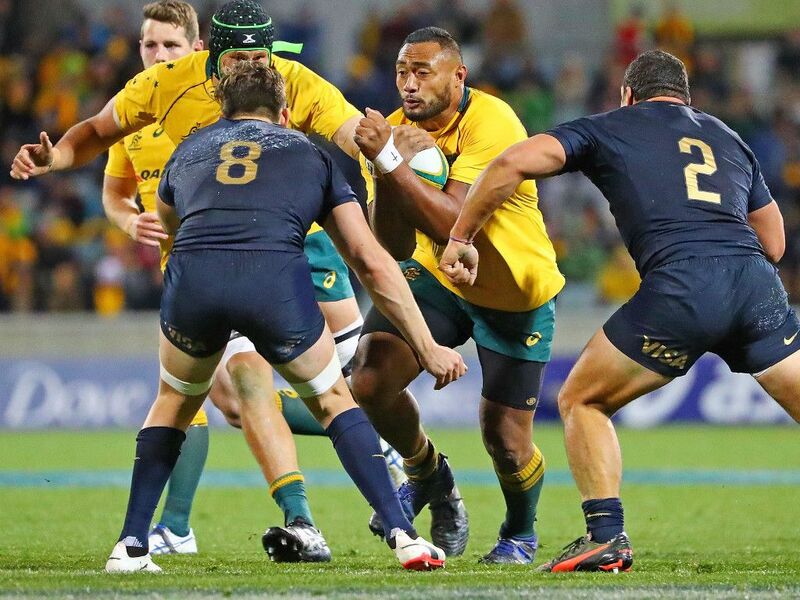 The Wallabies and Argentina meet for the first time in this year’s Rugby Championship at Robina Stadium on the Gold Coast on Saturday. There has been plenty of light-hearted exchange of words between the two camps ahead of Saturday’s Round Four encounter. Stephen Larkham got the sledging going when he sarcastically questioned Ledesma’s credentials and took a swipe at the Argentina scrum. Indeed, this must have stung his former colleague Ledesma, who had admitted in the aftermath of the 46-24 defeat to the All Blacks that his side were ‘torn apart’ at scrum-time. What is the reason for Argentina’s once-feared scrum having taken a downward turn? Ledesma believes it is because of that once feared reputation, that teams have targeted them or found ways to exploit their weaknesses. However, the war of words continued as Ledesma hit back, pointing to the fact that the Wallabies had the worst attack in the competition. And Ledesma does have a point. They have averaged the fewest metres gained of any team in this campaign, averaging just 400 per game after running for only 253 metres against South Africa last week. All joking aside, this is an in-form Argentina side who are on the up, while the Wallabies were lucky to escape with a win against a Springbok side who didn’t take their chances. This may therefore be the opportune moment for Los Pumas to improve on their dreadful record against the Wallabies and put themselves in pole position for second position, having lost 15 of the sides’ 16 previous meetings, including the last six on the bounce, in which they have conceded an average of 36 points per match. With the Springboks unlikely to defeat the mighty All Blacks, this could be a potential final for second place and the Wallabies, with home advantage, should just about have the edge. For Wallabies: Israel Folau makes his return to the starting line-up. Kurtley Beale and Matt Toomua will be looking to give those ‘up and unders’ plenty of hang-time for the likes of Folau to chase. Indeed, Folau has the best leap of any player in the modern game, having shown those qualities in the series against Ireland and previous Bledisloe Cup encounter. For Argentina: Nicolas Sanchez made history in Nelson last weekend, breaking the record of Felipe Contepomi as the Pumas’ highest points-scorer of all time in almost 20 less games. Sanchez has already scored 43 points in this year’s Rugby Championship, chipping in with a couple of tries. He will join Stade Francais in the Top 14 after the November internationals. Head-to-head: Michael Cheika has opted to keep Dane Haylett-Petty at full-back’ despite Folau’s return to the starting XV, following the former’s assured performance in the win over the Springboks. Haylett-Petty fronts up against Emiliano Boffelli. Both are proven try-scorers, good kickers out of hand and tricky customers capable of the unexpected. These two should come to life more and more as the game goes on and more spaces begin to appear. Prediction: The hosts will be too strong at home and consolidate second position. Wallabies by 11.